If you’re not willing to invest in expensive Mining-Rigs and electricity to participate in the Crypto World, but you still want to have a passive income, this article is specifically for you. 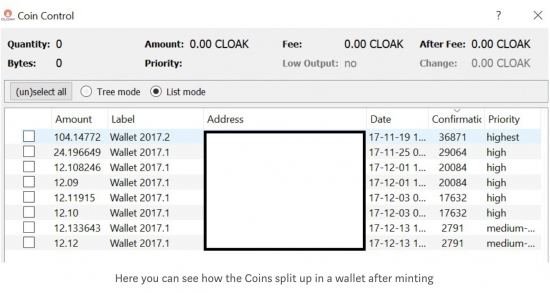 This blog has the intention to cover some basic knowledge about the Staking / Minting of CloakCoin. If you ask yourself now, what CloakCoin is, then you should read this article first. 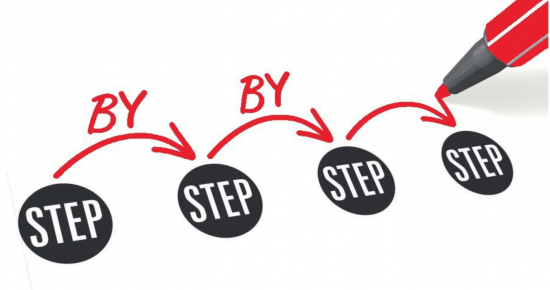 As the title says, CloakCoin gives you the opportunity to have a passive income, the following article aims to show you how to do so. 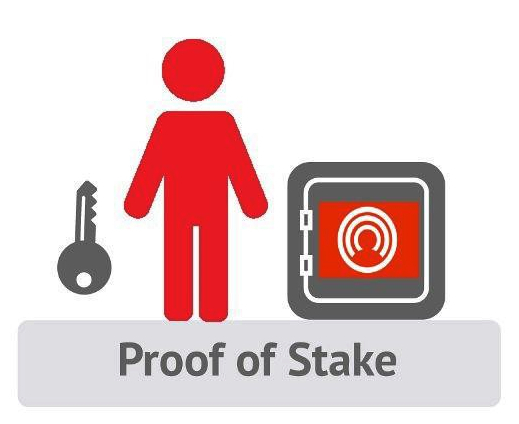 In order to understand how to mint your CloakCoin and get the 6 % reward per annum, it’s necessary to be aware of Proof of Stake (PoS). What does Proof of Stake mean? In order to sign blocks, the Proof of Stake (PoS), which is a method of securing a cryptocurrency network, relies upon users showing ownership of coins. In the long term, the probability of signing blocks depends on the number of coins owned. For example: someone owning 1% of total coin supply will be able to sign 1% of all proof of stake blocks. Proof of Stake needs tremendously less arithmetical power, comparing to Proof of Work approach and therefore, less energy usage. It is, in fact, central to most implementations of Proof of Stake, including that of CloakCoin, is the concept of Coin Age. Basically, it is about how long a coin holder has held onto coins without spending or moving them. After a completed transaction, those coins from it start to accumulate Coin Age, which starts at 0. For example, a person that holds 365 coins for 100 days accumulates 36,500 ‘Coin Days’. Basically, Staking and Minting are the same things. You have to Stake your Wallet to Mint new coins and earn interest. Essentially its the same as PoW mining but because CloakCoin is a PoS coin, the reward you get from helping the network is based on the coins you hold (minting/staking) not your processing power (mining). Your Address competes with all other Addresses that are online and unlocked to mint the next Block. It’s like a lottery, that takes place every 60 seconds. The higher your Coin Age, the more lottery tickets you have and therefore the more chances you’re given to win. 9. Wait until you Mint. The longer it takes, the higher gets the chance to mint and the higher is the reward. → Your wallet does not have to be open and online 24/7, but to secure the network it is preferable to do so. → You can run the wallet on a Laptop / PC or even on an eco-friendly Raspberry-Pi, no additional expensive equipment necessary. → Your CloakCoin gain Coin Age even if your wallet is offline. → Your reward per year is 6 %, but if you stake earlier you get a partial amount. Example 1: You send your CloakCoin at the 01/01/2018 to your wallet. At the 01/01/2019 you open your wallet to stake/mint. If you’re lucky and you mint right away, you get 6 % on your staked CloakCoin. 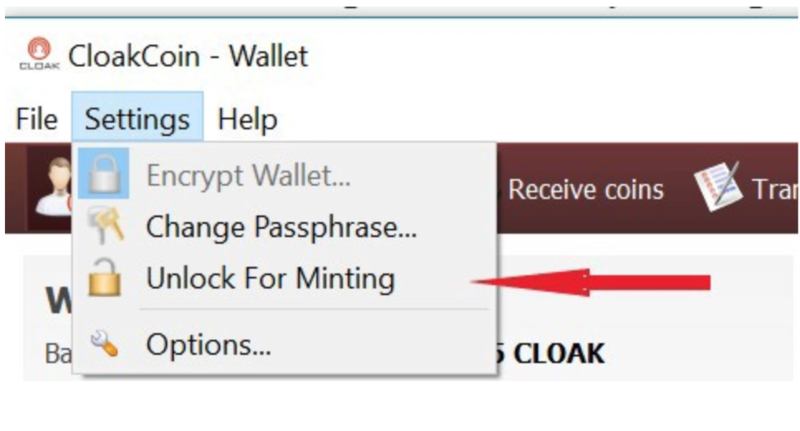 Example 2: You send your CloakCoin at the 01/01/2018 to your wallet. At the 01/07/2018 you open your wallet to stake. If you’re lucky and you stake right away, you get 6 % on your staked CloakCoin for the 6 months. 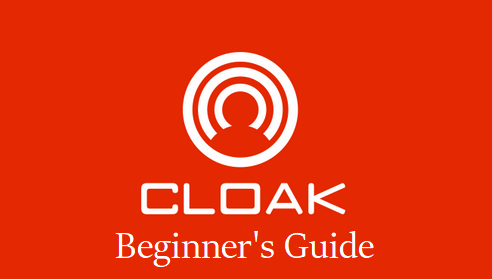 → After your CloakCoin stake, they divide into two amounts e.g. 1000 = 500 / 501. Now, these two amounts stake on their own. If you send your total amount now to yourself, they stake as one again and you prevent that your CloakCoin split into too many pieces. 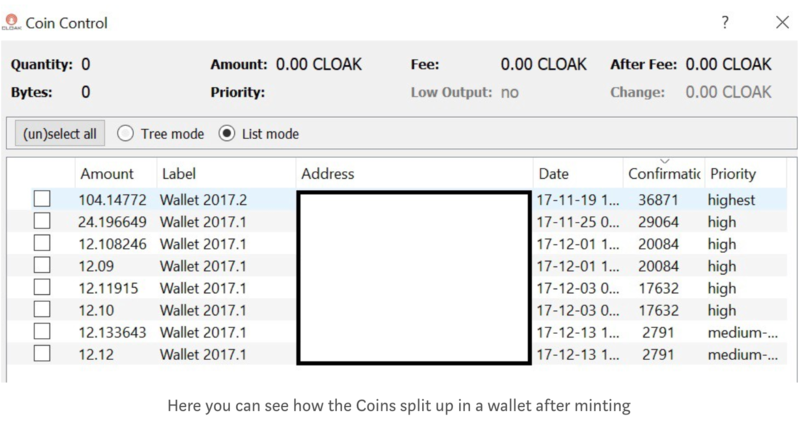 Additional to the Staking / Minting you can earn some additional CloakCoin through the ENIGMA-Transactions.